Pig sumi-e illustration. 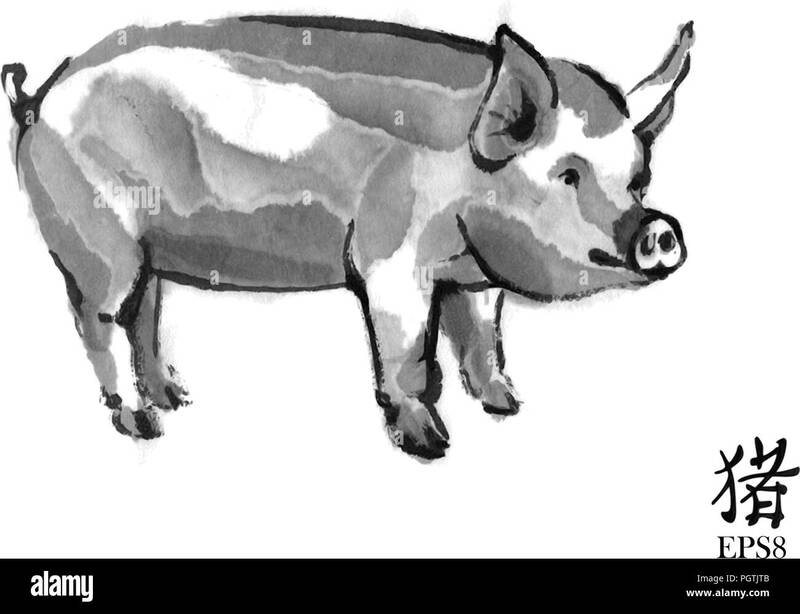 Domestic swine oriental ink wash painting with Chinese hieroglyph "pig". Symbol of the eastern new year.